where do I edit the background for the ready up panel? 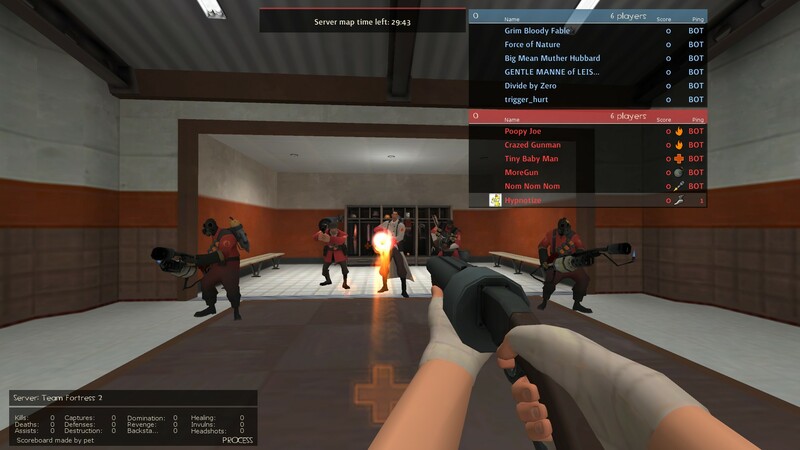 Pretty sure it's playerpanels in hudtournamentsetup.res, think it's under if_mvm. HudDamageAccount.res in resource/ui. The font is in there, might be easily changeable if the font name is like "HUDFont24" otherwise you need to search through clientscheme for something with a bigger tall value. That's also in hudtournamentsetup.res, same part but under if_readymode. I've tried using the TargetID.ui from grape m0rehud but it ends up different. I've never played around with wide and tall values before so I do not know how to make it fit. Also how do I get ride of the "Ubercharge" I just want it to show the number value. - have you increased the targetid height in hudlayout.res? Edit: i looked in huddamageaccount.res, but I don't know how to remove outlines, or if that's even possible. Where can i edit the Thermal Thruster's meter? Does anyone know what file modifies this annoying poster? morDoes anyone know what file modifies this annoying poster? [quote=mor]Does anyone know what file modifies this annoying poster? _Kermit morDoes anyone know what file modifies this annoying poster? [quote=_Kermit][quote=mor]Does anyone know what file modifies this annoying poster? 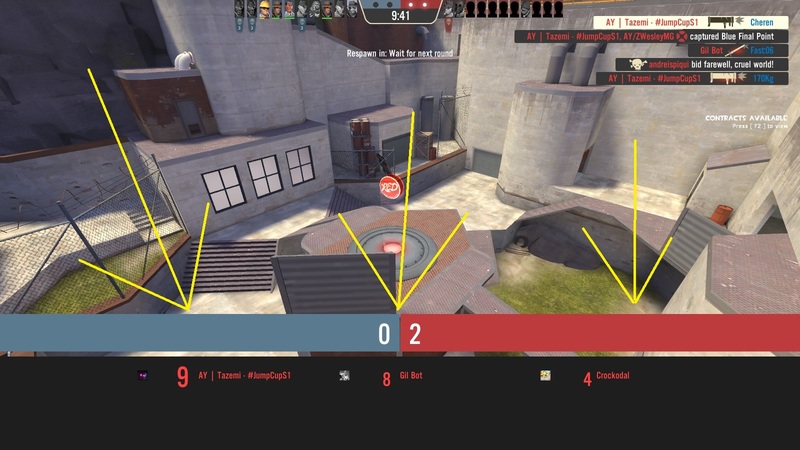 sAvenMy hud’s scoreboard doesn’t have a functional mouse mode. No names can be clicked or right clicked. Is there a way I can fix it? They're all redundant now, you can still use a button to launch the server browser but you need to use the topbar "find a game" button like on the default HUD to find casual games. Oh alright. Yeah, that kinda what i meant, the topbar to queue up into casual mode just insta-crashes for me. How do i fix that? how do I remove the black gradient when I open the Find A Game button? skittelzhow do I remove the black gradient when I open the Find A Game button? It's one of the hardest elements to do anything with for sure, but it can be removed with a little effort. copy m0rehud's resource/font/ folder into 1shot's resource folder. [quote=skittelz]how do I remove the black gradient when I open the Find A Game button? [*] edit 1shot's clientscheme.res to include [code]#base "clientscheme_m0re.res"[/code] at the top of the file. [*] copy m0rehud's resource/font/ folder into 1shot's resource folder. what am i supposed to edit to change the color of the overheal health ? Go to hudanimations.txt or hudanimations_custom.txt, whichever your HUD has, and find HudHealthBonusPulse, there will be something similar to "Animate PlayerStatusHealthValue" change the value of the "fgcolor" of that to the RGB values you want.